There’s probably no document which is going to have a bigger impact on your life than your resume. It’ll be more important than any college application essay. More impactful than your wedding vows. More crucial than the apology note you’ll hastily scribble after accidentally releasing all the emus from the local zoo. 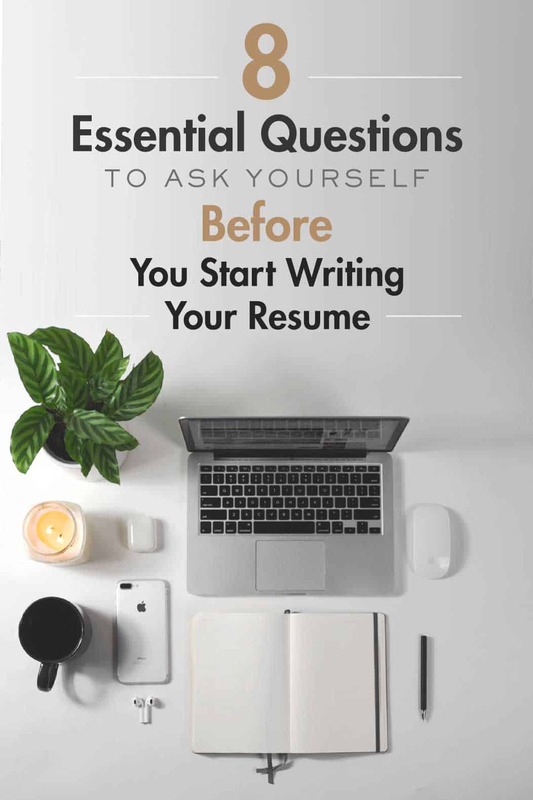 Your resume is going to be one of the biggest factors in where you’ll work, and in turn, the kind of money you’ll make, the people you’ll meet, and the places you’ll live for a sizeable part of your existence. In spite of that – perhaps because of that – most people don’t worry about their resumes until it’s actually time to start applying. In the half decade I’ve spent in workforce development (essentially a cross between social work and human resources) I’ve reviewed and developed literally thousands of resumes. I’ve seen what works, I’ve seen what doesn’t, and I can tell you that the time to master the art of representing yourself is now. Not when you’ve spent half your life in a profession you never wanted to be in. Not when you’re scrambling to pay your rent and your bills. Not when you get laid off for your involvement in the notorious “emu” incident. Whether you’re looking at your first career or preparing for your next step up the job ladder, the 8 following questions will be essential in helping you showcase exactly who you are, what you’re all about, and why you can do it better than anyone else. 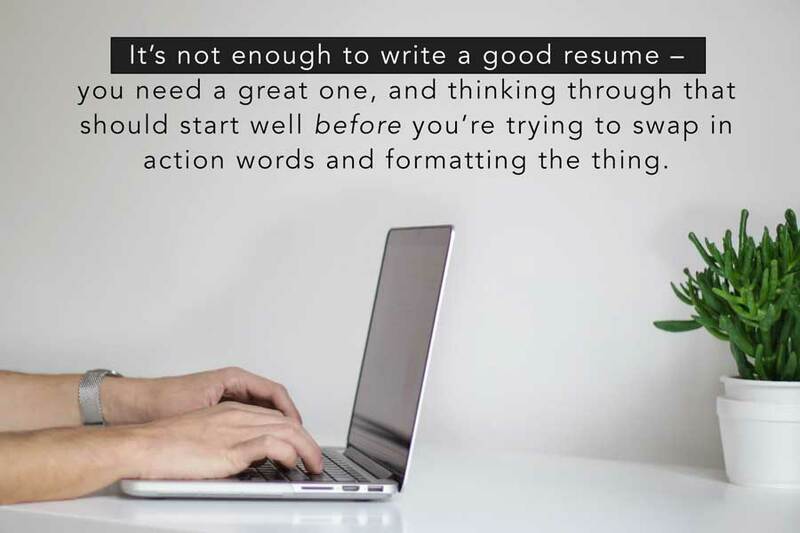 It’s not enough to write a good resume – you need a great one, and thinking through that should start well before you’re trying to swap in action words and formatting the thing. This document not only needs to be a representation of your work history, but of you. What do you want? What kind of job path are you trying to create for yourself? What is your actual work experience, not what just comes through on a list of dates and previously-held job titles? Writing a new resume is an endeavor that requires some personal reflection on your professional life. Spend some time brainstorming answers to these 8 resume questions before you start formatting. Not only will it practically write itself once you get going, it’ll be a stronger representation of your true, unique value as an employee as well as ensure you’re on the career path that you’re looking for. 1.Ignoring Job Title or Official Expectations, What Did I Actually Do At My Last Job? The reality of the situation is that job titles can be confusing and even the most meticulously assembled “official duties” will fail to reflect what you actually dealt with on a day-to-day basis. You’ve got to go deeper. A project manager, for example, isn’t some glorified scheduler or admin. Sure, those duties are going to show up on the job description, but tucked away beneath those neat, concise lines is the gritty reality of the position. Fact of the matter is that as a project manager, what you’ll be doing is putting out fires, coordinating conflicting egos, coming up with on-the-spot, out-of-the-box solutions, and courteously yet emphatically managing the expectations of your stakeholders. While the key points will be different, this same principle applies to copywriters, network admins, medical assistants – you name it. Regardless of your field, it’s essential to break through the surface level here – what are the actual moving parts of what you did? Demonstrating your knowledge of the nuts and bolts of the position is going to help establish you as someone who actually knows what he’s talking about, rather than everyone who tries to skate by on the bare basics. 2. What Does This Job Actually Entail? Anyone who’s had even one job in their life can tell you there’s a world of difference between what the job duties are described as and what you’ll actually be doing. If you’re really looking to stand out in a crowd it’s going to be critical that you demonstrate how you can handle not just what appears on the posting, but the actual activities you’ll be performing every day. Just like you need to find a way to communicate your actual work experience and not just a job title, you need to find a way to communicate you’re the perfect fit for the responsibilities of this role that aren’t explicitly defined in the job post. Plenty of receptionists get loaded with clerical work during their down-time. Warehouse workers are all too familiar with the “if you got time to lean, you got time to clean” mantra. For eldercare workers, the job’s not just taking vitals and giving medication reminders, it’s creating a comfortable and safe environment and developing an empathetic rapport with their clients. Nonprofit workers frequently double as event staff – the list goes on and on. Research is critical here. As you develop your resume, don’t just go by what an online description offers – seek out someone who works in that field and ask them what this position actually does on a daily basis. Showing that you know the reality of the job can give you a major advantage over your competition and convince the reader that you know your stuff. A human reader, that is. 3. What’s Unique To Me That Others Don’t Have? While there’s a fine line between underselling and overselling (more on that in a second, also), it’s important to remember that this very much is a competition. You’re not here just to prove that you’re qualified for the job, you’re here to prove you’d be incredible at this job. Now that can be a challenging prospect for anyone, but for Millennials (saddled with unfair stereotypes) this is especially challenging. Even as the economy has slowly recovered there’s still plenty of people out there with more experience, more education, and more connections who are gunning for the same positions as you. While you can’t magically add a decade of employment onto your resume, you can give yourself an advantage by emphasizing what makes you unique. Ask yourself if you specialized in a particular area (just being “the ______ guy” counts). Did you train new hires – even if it was simply showing the new guy the ropes? Do you speak another language (any other language – “bilingual” doesn’t just mean Spanish)? Did you streamline a process? Did you increase your branch’s profits? Were you recognized – formally or informally – by your boss, coworkers, or clients for your superlative speed, meticulous accuracy, or unparalleled passion? Find your angle. Use it. 4. What Excites Me About My Next Job? That may sound like an odd question at first glance, but it’s one that can make a significant difference in how you’ll come across on paper. While your resume is ultimately about what you can bring to the table for your employer, there absolutely is a benefit to tapping into what you’re most looking forward to in your prospective job. Honing in on those elements you’re most anticipating (whether it’s the opportunity to lead, the chance to work in a more collaborative environment, the chance to travel, etc.) will give your resume a much more personal feel. You’re not simply offering yourself as a competent worker, you’re effectively telling the employer that, given the chance to work anywhere, you’d want to work for them. It’s an incredibly flattering statement and one that also speaks volumes about the kind of person you are – someone with drive and purpose, instead of some slacker or sad-sack following the path of least resistance. Now that doesn’t mean that the position you’re pursuing has to be perfect in each and every way, and it certainly doesn’t mean that you should neglect showing basic qualifications, but you should still set your sights on the key feature that’s drawing you to this specific business. It will take effort, and it will take research, but building a genuine connection between the things you’re interested in and the thing the company offers doesn’t just make a strong candidate, it’s makes you the logical choice for any HR rep worth their salt. 5. What Does Success In This Position Look Like? After all, daily responsibilities will shift and change with the projects you’re assigned to or the emergencies that arise. While duties change, purpose doesn’t, and it’s going to fall to you to step back from the job and consider what problem your target position was created to solve for the business owners. A web developer job, for example, may focus on the front-end of a website (primarily addressing visual design) or might be tasked with the back-end (making sure the website works). While there’s going to be overlap in the skills required, functionality and user-experience are ultimately two different areas of specialization requiring different skills and even different mindsets. A truly fantastic resume is going to be geared towards one or the other – you need to figure out which. Again, ask yourself what success in your target position looks like. Are you here to provide compliance or innovation? Client hand-holding or production grit? 6. How Can I Get This Past A Computer? Generally speaking, your information is going to be reviewed by a computer long before it ever reaches a real person. As a result of the number of applicants per position (often reaching triple digits) almost every major and mid-sized company is making use of “Applicant Tracking Systems” – software designed to evaluate candidates and reject anyone deemed unqualified. In simplest terms, your resume is going to be searched for the presence of “keywords” (typically hidden in the job description/requirements) which will be used as a rubric for judging your suitability. While there’s more nuance to this process than simple word-matching, and while every company is going to have their own threshold (though 75% is the general rule), it’s nevertheless critical to ensure your resume resembles the description of your targeted job. I cannot begin to count the number of times I’ve seen qualified applicants miss out on opportunities just because they weren’t deliberate with their word selection. The most eloquently-worded resume won’t count for a damn thing if it never gets past this first hurdle. 7. What Are My Weaknesses And How Can I Write Around Them? It can be tough to present your strengths in the most flattering light possible. 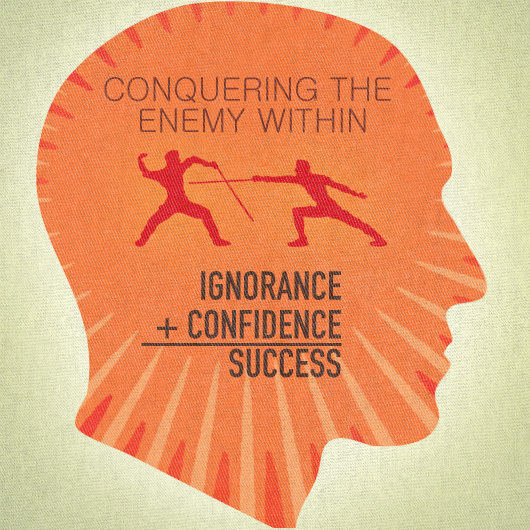 It’s even tougher to figure out how to hide your weaknesses. In spite of your best efforts, chances are you’re simply not going to be completely and totally qualified for the position you’re pursuing (or if you are, that people will believe you). Maybe you’re missing management experience. Maybe you’re challenging folks who think you’re too young (age discrimination cuts both ways). Maybe you’re trying to transition to a new department or a new location or even an entirely new field. Regardless of the specifics, now is the time to start prepping your defenses. One of the single best things you can do for yourself is take time to critically examine your own situation. Ask yourself what would keep someone from considering you as a serious candidate and what you can do to address those concerns. While you might not have direct management experience, have you stepped in for your supervisor informally? Can you get management training? Can you offset your weakness with any kind of unpaid or volunteer leadership? In simplest terms: the sooner you start figuring out what ammo people might use against you, the sooner you can take it away from them. 8. What Do I Actually Want? Make no mistake – this question, more than any other, is going to keep you grounded as you move forward. Resume-building is an intensive process. Fitting your character, your abilities, and your life (the last ten years of it, at least) onto a single sheet of paper is no small endeavor – and one that might even work to your detriment, if you’re not careful. Between revisions and edits and research, it’s easy to get so caught up in the chase that you forget just what it was you were pursuing. Yes, your resume is an advertisement, and yes, you’re in the awkward position of being the salesman and the product at the same time but you should never forget that, at the end of this all, you’re doing this for your own benefit. In the grand scope of things, is this resume going to get you the kind of job that will pay you what you’ll need to pursue the things you care about? 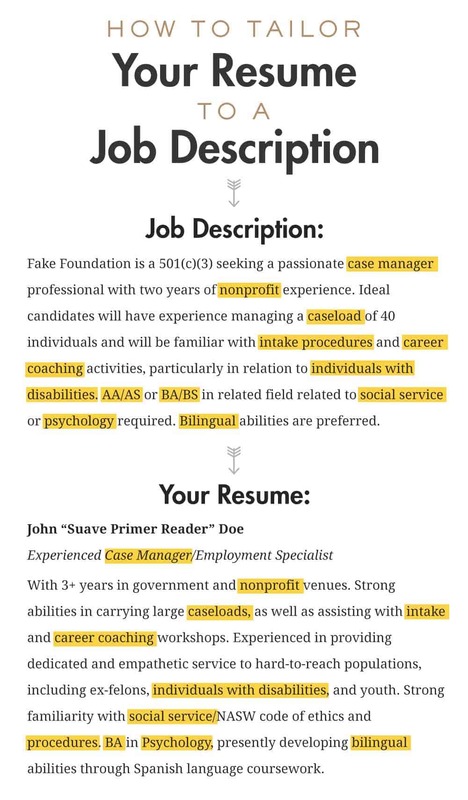 Is this resume going to get you a job that lets you give all you’ve got? A job you can be proud of? A job that doesn’t just let you survive but really and truly thrive? Great read! Can anyone recommend a good resume writing service in the LA area? I’m getting ready to make a jump from mid level in to management and need a complete re-do of my resume. You have packed such a huge number of useful tips into one article, thank you for that! The fact is that I recently graduated from college and now I want to go to work. But unfortunately I have no experience writing a resume, so I think that your article will be very useful to me. I believe that a correctly written resume is 90% success. It’s really cool that you share such useful articles, I really hope that you continue sharing with such an interesting type of content!